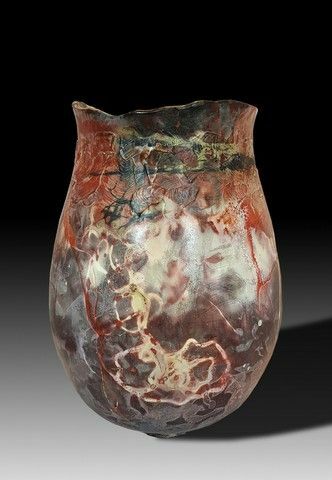 Hunter-Wolff Gallery is pleased to offer beautiful hand-built, saggar-fired vessels by Colorado artist Pat Jahla. 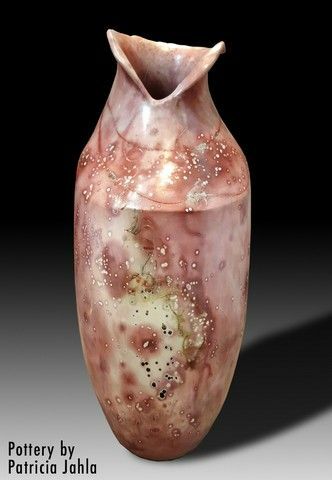 Her pots are sculptural in design and highly sought-after because so few American ceramic artists combine the techniques of hand-building with saggar-firing. Each piece offered is a combination of labor-intensive work, slow practice, ancient science and divine grace. 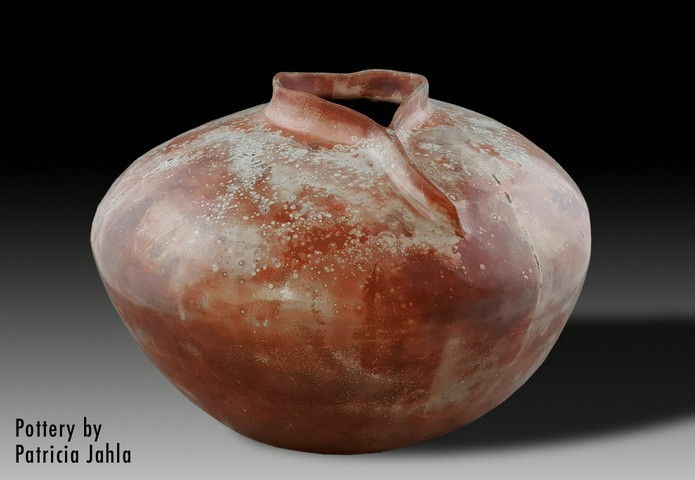 Pat Jahla believes that building with clay is elemental and in some ways spiritual. 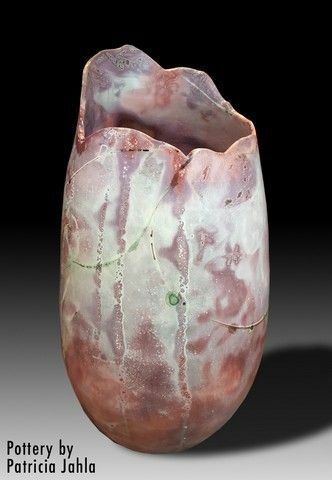 After hours spent building her forms, she consigns each to the kiln and the risk of destruction or worse, simply being unsuccessful as a piece of art. Clay has suppleness, flexibility, and infinite potential for shape and texture, and having dug it from a local source herself, she points out that the material could be 100 million years old; i.e., from the Laramie Formation, a geologic formation of Late Cretaceous age. 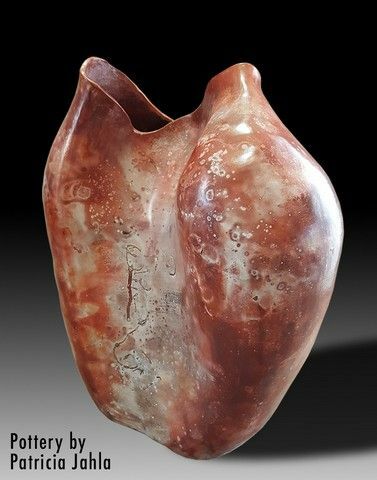 Formally trained as an artist, educator and wheel-throwing potter, she transitioned to hand-building with clay in 1990 after studying with two well-known artists at Crow Canyon Archaeology Center in Cortez, Colorado. However, rather than pit-firing she elected to fume saggar fire, which requires two steps in firing for a beautiful finish. 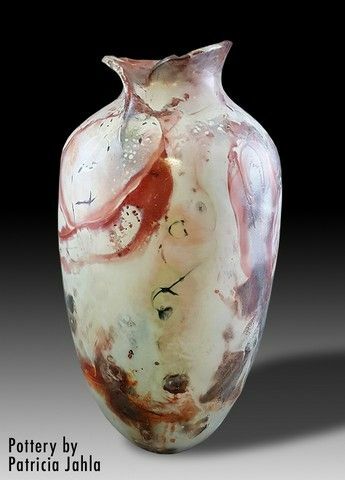 This technique is slow but the color aspect of the piece is very spontaneous, unpredictable, involves no glaze and offers little design control. After shaping her forms, she airbrushes a very fine slip onto the bone-dry ware, then polishes with a microfiber cloth and bisque fires to a ringing hardness. When cooled, they are immersed in ferric chloride, an etchant widely used in the computer chip industry. While still damp, a little sugar or salt is sprinkled lightly on the surface. Next, very fine copper wire or horse hair is placed strategically on the form and combustible material, such as sawdust, can be dropped into the depth of the vessel or placed around the base. Finally, each piece is wrapped in a “saggar” or container, made of heavy aluminum foil, which has been crumpled and then re-flattened. The random crushing pattern provides internal avenues for the smoke generated by the fumed firing to react with the ferric chloride etchant. This process literally “draws” on the pot. Planning a brush application or pre-determined design is impossible. New work arrives from Pat Jahla frequently and we urge you to return to this site to check on new arrivals of unique, one-of-a-kind collectibles.